Think what’s the most amazing way to do it. Lifetime - LEAP views your financial process as an ongoing lifetime experience. LEAP uses a comprehensive or holistic approach. Economic - LEAP seeks to make your money productive and efficient which may increase its performance over time. Acceleration - LEAP allows your money to have the potential to achieve an accelerated rate of return by using a unique financial process. Process - LEAP organizes and coordinates your money decisions into a financial model that is easy to follow and understand. I employ the Lifetime Economic Acceleration ProcessTM (LEAP®) to assist clients in analyzing the efficient use of their cash flows as part of my insurance planning practice. The LEAP process can help clients better understand their protection, savings and growth objectives and identify existing resources to fund the products that can help them meet those objectives. It is important to note that the LEAP process is not intended to and will not provide clients with a comprehensive financial plan, nor does it make recommendations regarding the purchase, sale or holding of variable products, mutual funds or other securities. Keeping up in a changing world is difficult. Of the many money decisions that you must make, knowing which are appropriate is not easy. Information overload can lead to financial paralysis. You probably lack the time to properly research all aspects of your money decisions. How it helps: The LEAP SYSTEM® helps you cope with these changes by providing easy to understand and easy to follow financial models. Changing tax laws make it difficult for the consumer to plan easily and successfully. The tax laws have become more and more complicated. 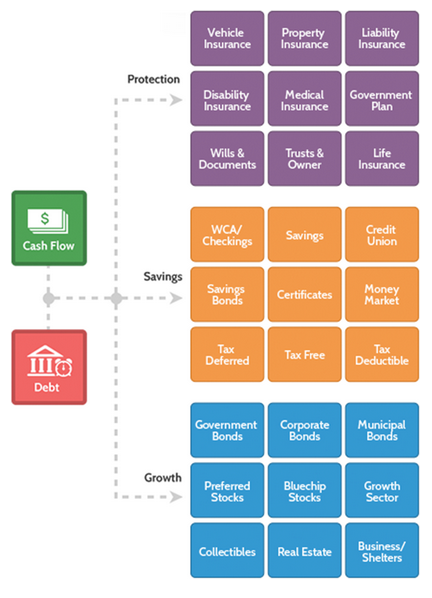 How it helps: The LEAP SYSTEM can help you reduce your income taxes over your lifetime by providing tax strategies designed to simplify your financial life. The stock market fluctuates up and down. It moves in cycles. A problem can exist when you need your money in a down cycle and your stocks have declined in value. Timing is important, but it cannot be controlled. How it helps: The LEAP SYSTEM seeks to help you achieve "High Reward with Low Risk" through its unique "flow of money" concept. Misleading information regarding insurance and financial products and strategies is prevalent on the Internet and in financial magazines, financial "How To" books and sales literature. How it helps: The LEAP SYSTEM explains how many money strategies and products being advertised and promoted today may become hazardous to your wealth and protection goals. I will help you select the appropriate products and strategies tailored to help meet your individual needs, wants, and desires. You probably own a variety of financial products and have made many financial decisions. Each product and financial decision most likely has been made individually and without much thought of integrating them into a skillfully coordinated and efficient plan. Without a financial model to assess, evaluate or measure each financial decision, your money may become uncoordinated, inefficient and unproductive. The LEAP SYSTEM® has built the PS&G Model®. It is a financial model that contains all aspects of your financial life. It provides you with a full view of your financial situation categorized into three components of Protection, Savings, and Growth, which makes it easy to understand and follow. You can participate in the evaluation process by having this unique tool available to you. An educated consumer is always in a better position than one who is unsure and insecure about the money decisions they are forced to make in life. The PS&G Model provides you with a tool to measure and coordinate each money decision with the purpose of achieving financial independence. As a LEAP SYSTEM® licensed professional, we will show you how to use this model to measure and compare financial decisions you make in order to choose the one that you feel is most appropriate. Coordinated - When coordinated, your assets work together harmoniously. Integrated - When integrated, they provide for a potential increase in money supply and benefits. Based on Facts - The Model helps you evaluate and measure the results. Needs and Value Based - With the Model, you may be less vulnerable to making decisions based on opinion or sales hype. Money decisions are now strictly needs and value based. Implemented - The Model helps provide a method for your money decisions to be easily and automatically implemented. Organized - The Model will help you visualize how all your assets are working and at the same time provide an organized filing system. Accessible - Your money and assets will be more in your own control which leads to making intelligent financial decisions. What are your alternatives to LEAP? Your financial life may well be managed by one of the four alternatives listed below. Let's look at each one of the alternatives and see if they are what you really want and need. The results of doing day-to-day decision making can be devastating. People who never examine the big picture tend to live day by day and may lose control over their financial lives. In a complex society such as ours, people who do not look at the effect each decision creates, have less chance for financial security. This type of periodic decision making usually keeps people one step behind where they should and could be. Periodic decision making is part of the /do-it-yourself/ mindset. It lacks an understading of the importance of having professional assistance. Needs based decision making focuses on meeting needs such as saving for a house, college tuition costs, retirement income, paying estate taxes, disability income needs, etc. This kind of decision making usually takes place when the need is present or obvious. Conventional financial planning focuses on trying to meet predetermined needs and goals. The methodology used in this approach involves substantial number crunching and monitoring of mathematical variables such as interest rates, investment rates of return, inflation rates income tax rates and future income needs. LEAP SYSTEMS, Inc. believes that the best choice that you can make in your financial life is the use of the LEAP SYSTEM®. Give yourself this opportunity for wealth, happiness, and success. After all, you deserve the best. The Lifetime Economic Acceleration Process seeks to protect your wealth from being eroded by income taxes, inflation, market fluctuation, fees, claims from creditors, and other costs. The main objective of the Lifetime Economic Acceleration Process is to build wealth without the limitations of predetermined needs and goals. How many of the strategies or products listed below do you currently have as part of your financial life? If you are like most people, you may have several. There are many advantages and disadvantages of each strategy or product listed below. You deserve a complete and comprehensive evaluation of these strategies and products in order to assess their value to you and your family. What you may not be aware of is that you could be unnecessarily losing a significant amount of money and protection over your lifetime if the strategies and products listed below are not properly coordinated and integrated to enhance the advantages and minimize the disadvantages. Through a comprehensive LEAP® evaluation these financial strategies and products will be shown either to be appropriate or inappropriate in your own financial situation. "Buy Term and Invest the Difference"